In this conclusion we propose to return to the essential features of our work. Our initial motivation proceeded an examination of the question of the recovery between three forms of poverty. The concept of poverty was considered under three different ethical styles privileging first of all primary goods, secondly social outcomes and lastly basic capabilities. 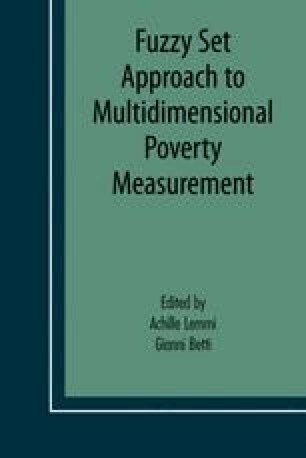 The most important finding to emerge from our research is that the use of a specific concept of poverty would alter the ranking of people in a poverty scale: It has been particularly confirmed when one compares primary goods with social outcomes or functionings. Therefore one must first choose the objects of value in accordance with the value judgments involved (Veto 2004). It means that one is forced to ask over which kind of variable individuals must have control and for what sort of variable society is responsible. So the first relevant question for measuring poverty is, as Sen mentioned: “Equality of what?” This question is likely to return to very pressing problems about such things as real interests. But of course this is an open question.